As I mentioned in a post, I'm doing one big Christmas post this year. 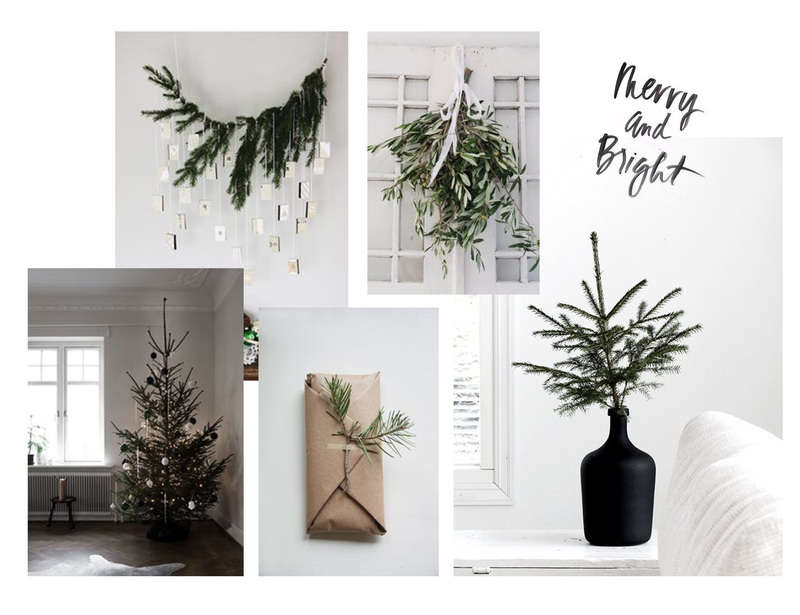 I normally try (and fail) to do some kind of gift-guide but seeing as the competition is beyond fierce this year (uh, Liv and Kate killed it) I thought I'd do a little home-decorating-inspiration/my-wishlist kind of thing. I've got to give it up here and say I definitely don't have the house for this kind of tree/foliage situation (rented flat in Clapham doesn't really cut it) but if I did, this is what it'd probably look like. I'm going to take inspiration from the tree cutting in a vase idea, as I always insist on getting a tree despite not spending Christmas day at home. I'm definitely one for a few bunches of mistletoe too. All of this is making me want my own house even more, sigh. No Christmas post would be complete without popping in some unnecessary things I'd really like, plus James asked me to write a list so hey babe! As I've mentioned a million times, I'm really trying to skim my wardrobe down to nicer (read: expensive) things that will last me longer so that was the theme behind this. The nice skincare, and cute travel mug are those things that you always want but can't justify buying yourself... Kind of like another designer handbag really. Also, note this is a wishlist, not what I'm likely to get! And I definitely don't want two of the same bag, I just couldn't decide which colour I liked more!